The US Food and Drug Administration (FDA) has extended the review time for GlaxoSmithKline's (GSK) once-weekly diabetes treatment albiglutide, delaying the deadline for delivering a verdict on the drug until April 15 next year. 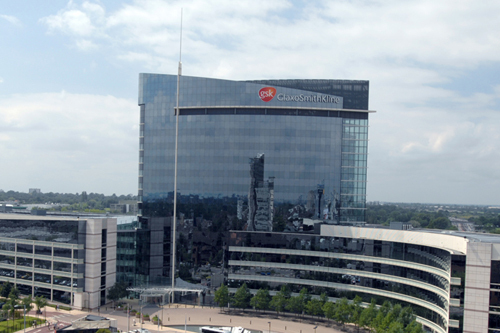 GSK said in a statement that the three-month extension to the review of the GLP-1 agonist was "to provide time for a full review of information submitted by GSK in response to the FDA's requests". The pharma company submitted albiglutide for approval in the US in January, and followed that up with a filing in the EU in March. The European application is "progressing to schedule", according to the company. In trials reported in June, albiglutide reduced glycated haemoglobin (HbA1c) - an indicator of long-term blood sugar control - more than a placebo and some other treatments in a series of phase III trials, although it was not as effective as a generic diabetes drug (pioglitazone) in one patient group. Prior trials have also suggested GSK's drug is not as effective as Novo Nordisk's rival once-daily GLP-1 agonist Victoza (liraglutide), which was launched in 2010 and pulled in sales of $1.7bn last year, a rise of almost 60 per cent on 2011. Victoza quickly overtook Amylin's twice-daily Byetta (exenatide) - now sold by Bristol-Myers Squibb and AstraZeneca - after it was shown to be superior in reducing HbA1c, but analysts are less convinced albiglutide will follow a similar pattern, despite its favourable dosing. On the whole sales forecasts for albiglutide are modest, as analysts believe it may have difficulty distinguishing itself from Victoza. It could also see strong competition from Eli Lilly's up-and-coming GLP-1 agonist dulaglutide, which is also dosed once a week and has been shown in trials to be more effective than both Byetta and Merck & Co's big-selling DPP-4 inhibitor Januvia (sitagliptin), as well as a once-weekly version of Byetta - called Bydureon - that was cleared in the US last year. GSK started a search for a commercialisation partner for albiglutide earlier this year, with GSK's chief executive Sir Andrew Witty acknowledging to investors in February that the company lacks infrastructure at the scale required for a major product launch in diabetes. Meanwhile, there was good news for all manufacturers of GLP-1 agonists and DPP-4 inhibitors - collectively known as incretin mimetics - after the European Medicines Agency's (EMA) Committee for Medicinal Products for Human Use (CHMP) concluded there was no evidence linking the class to a risk of pancreatic side effects, including cancer. The FDA has also launched an investigation into the safety of incretin mimetics, but has yet to publish its findings.